Motorcycle drivers don't have the protection of the car chassis, hence their vulnerability when a motorcycle accident happen. 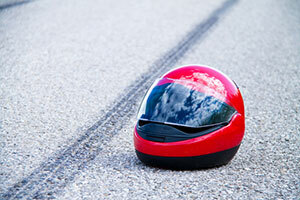 Injuries sustained in a motorcycle accident, whether as a driver or passenger, can be serious and sometimes, fatal. If you have been injured in a motorcycle accident in Boca Raton, you need sound legal advice to understand your chances to get compensation for your injuries. Our bilingual Boca Raton motorcycle accident attorneys at the Wolfson Law Firm have assisted good folks from South Florida to get compensated for their injuries since 1963, and we are at your service as well. Just call 855-982-2067 for a free consultation to help you determine whether you have a good case and your chances to obtain the compensation that you deserve. Boca Raton is the southernmost city in Palm Beach County. It is located on the Atlantic coast, between Delray Beach on the north and Deerfield Beach on the southern side. The Interstate 95 Highway passes through the middle of the city, dividing it into two parts. The west side of Boca Raton touches the Florida Turnpike. On the other side of the Florida Turnpike, there are plenty of unincorporated Boca Raton communities that are still being developed. Officially, the city itself is estimated at 96,000 residents, but with those unincorporated communities, it counts as more than 200,000 people. Boca Raton sees a large daily increase of visitors of these and other communities, as the city serves as one of the core business centers in South Florida as so many people work there. The main employers in Boca Raton include Florida Atlantic University, Home Depot corporate headquarters, Boca Raton Regional Hospital, Boca Raton Resort, IBM, ADT Corporation, and others. The Cancer Treatments Centers of America is also headquartered there. Boca Raton is one of the wealthiest cities in Florida. The median household income is $67,000, and the median family income is $92,000. The per capita income of the city is $45,000. According to Forbes, three of the ten most expensive gated communities in the United States are in Boca Raton, including the Royal Palm Yacht and Country Club as the most expensive one. The Sanctuary and Le Lac hold the sixth and eighth place respectively. The Boca Raton motorcycle accident attorneys at the Wolfson Law Firm help good people who have suffered in motorcycle accidents all around South Florida since 1963. We help our clients get the compensation they deserve for their medical bills, expenses for medications, lost earnings due to time spent out of work because of the injury, stress and pain, scarring, compensation due to wrongful death, and other damages depending on the circumstances of your case. Call us at 305-285-1115 to help you determine whether you have a good case and what's the best options to recover compensation. Our consultations are free. You won't pay us fees until we recover for you.